Could be straight out of a HOME Magazine feature spread. 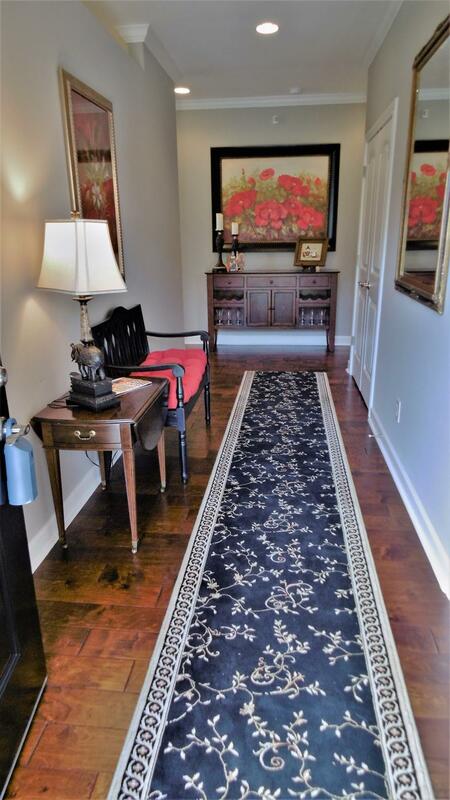 *BETTER THAN NEW* Upscale RANCH Condo. One of few Duplex-style units, vs. mostly 4-plexes in this built-out development. 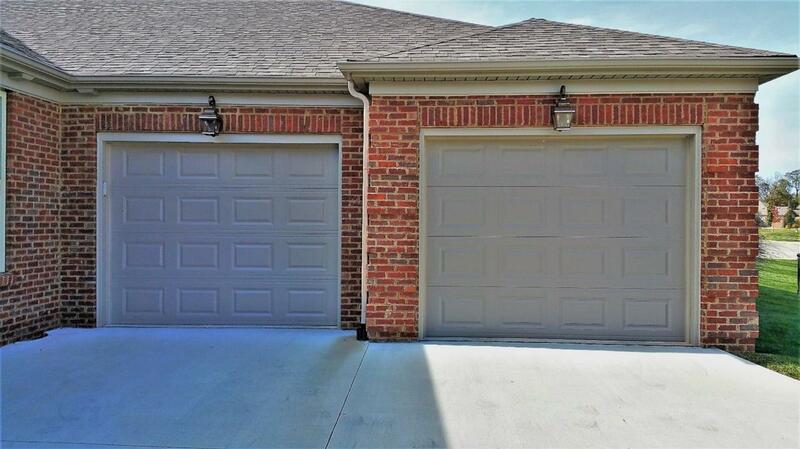 Just off 1st BG Parkway exit, 10 minutes to Airport, 20 to Downtown Lexington & UK, 2 miles to Downtown Versailles, 3 minutes to the Falling Springs Sports Complex. 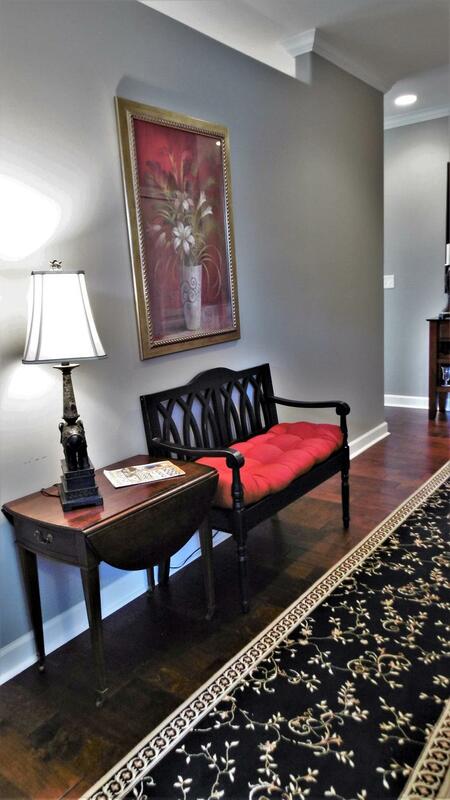 Tall 9 ft ceilings & Crown Molding throughout. Hardwood, Tile, carpet. Spacious rooms, bright with both natural & well designed lighting. Gorgeous Kitchen with massive Island, beautiful SOLID SURFACE counters, Stainless Steel appliances. Magnificent tray ceilings in Master Bedroom, Great Room & Dining Room. Master Bath features a walk-in, TILED SEVEN FOOT SHOWER, no glass to clean, no doors. You have to see to believe! Awesome FINISHED SUNROOM off MBR & Great Room. Large Laundry. OVERSIZED 630 SF 2 car GARAGE & PROFESSIONALLY INSTALLED EPOXY FLOOR COATING. Covered front porch. COA docs provided by seller as a courtesy may not be latest version. 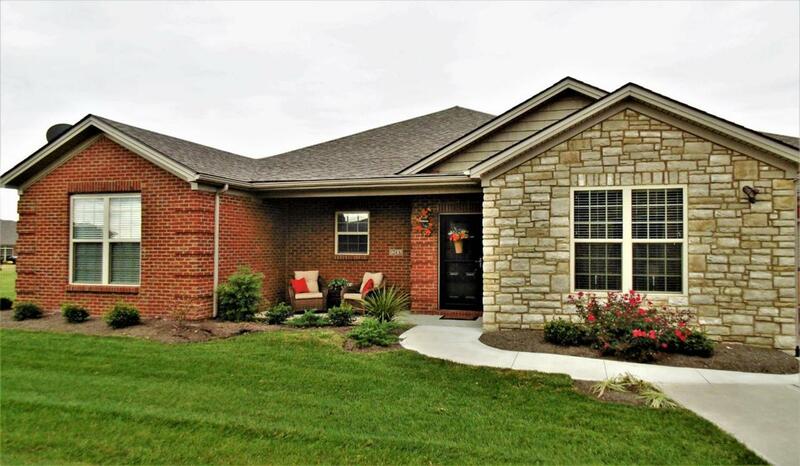 Listing provided courtesy of W Preston Martin of Re/Max Elite Lexington. Listing information © 2019 LBAR Multiple Listing Service. All rights reserved.